AC Engineering has developed specialized vacuum pumps for aircraft instruments with a very long operational life. 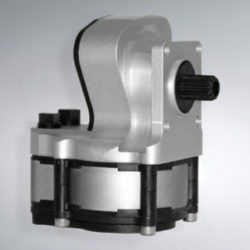 Piston vacuum pumps replace standard 200-series vane pumps. Upper section houses a crankshaft and a connecting rod. The double-acting piston is in an isolated chamber at the bottom of the pump.